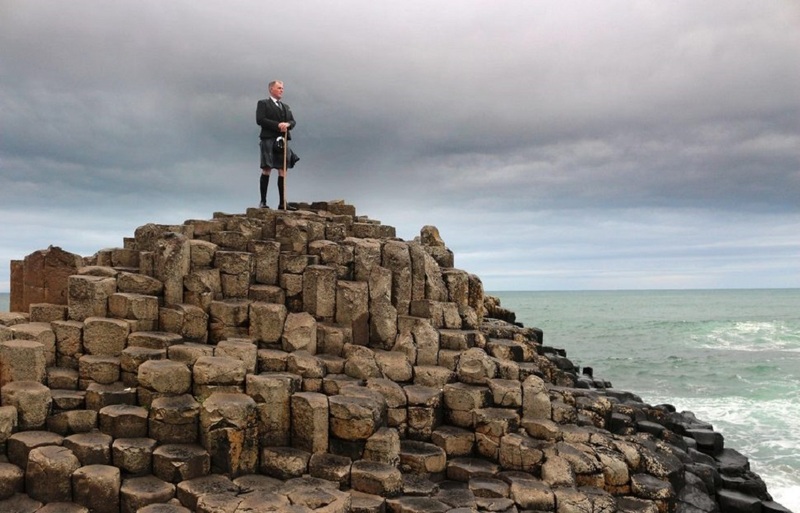 Northern Ireland, Day Tours – Belfast – The Great Canadian Travel Co.
Use the fascinating city of Belfast as your base and take one or several day tours out into the countryside to explore the beauty of Northern Ireland. We offer a variety of tours and if you don’t see what you’re looking for just ask, and we can custom design a program for you. Prices are shown in US$, per person, based on the specified number of people per party. Prices are approximate US$ equivalents of the current GBP rate and will vary depending on currency conversion at the time of final payment of your tour, at the time of making your reservation. CA$ rates are also available on request. You will be met by your private guide at your accommodation and set out for a walking tour of Belfast, learning about the city’s fascinating history. 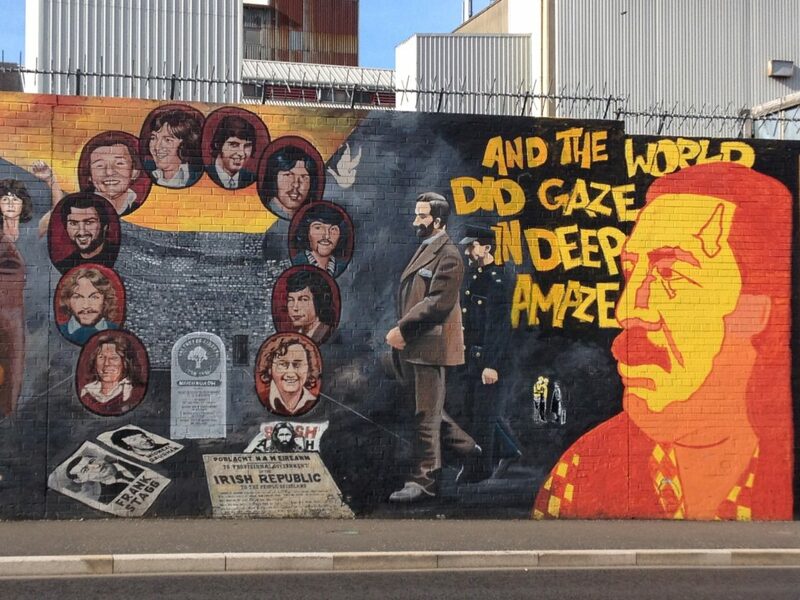 Your guide, Dee, is a native of Belfast, someone who personally lived through “the troubles”, and she will share with you her unique perspective of her beloved home. 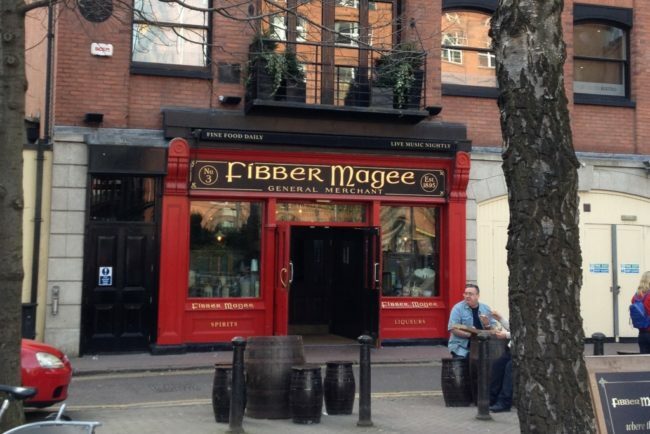 The route includes the Cathedral Quarter and Belfast’s hidden secrets and we’re sure you’ll find the tour is great craic (Irish term for fun, entertainment and enjoyable conversation) and very informative. You will be met by your private guide and chauffeur-driven vehicle at your accommodation. 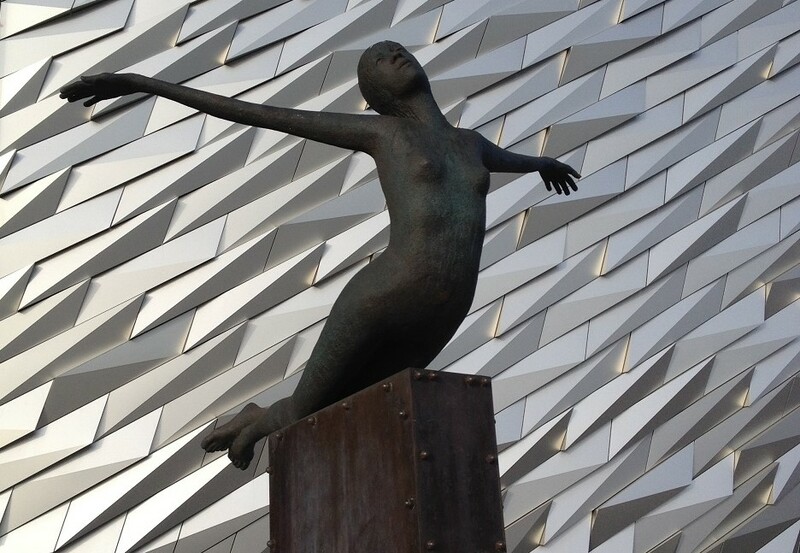 Your tour today will explore some of the lesser known areas and sites in County Antrim. 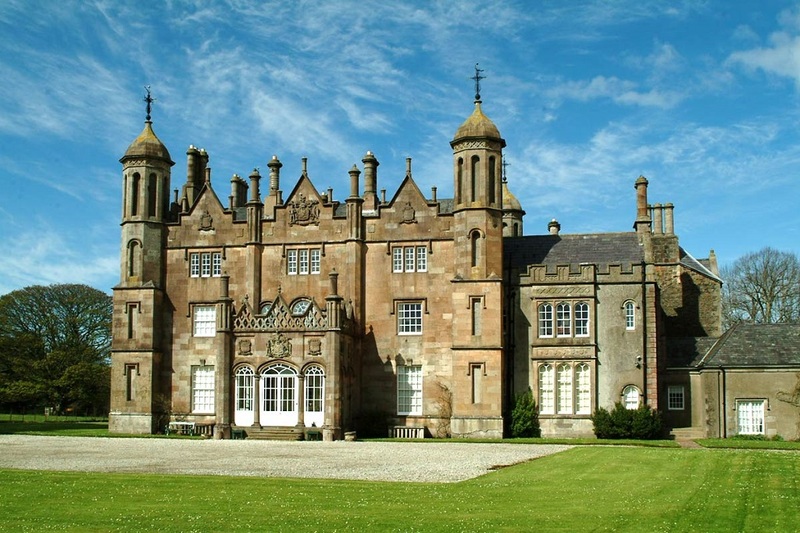 Head northwest of Belfast, along the north shore of Lough Neagh to the small town of Bellaghy. The first stop is here, at Homeplace, the birthplace of Northern Ireland’s own Nobel prize winner for literature, Seamus Heaney. Enjoy an emotional insight into the poet’s life and inspirations behind his poetry at this new museum, on the Top 4 Places to Visit in Northern Ireland in 2018. Enjoy a tea break at the cafe in the centre. 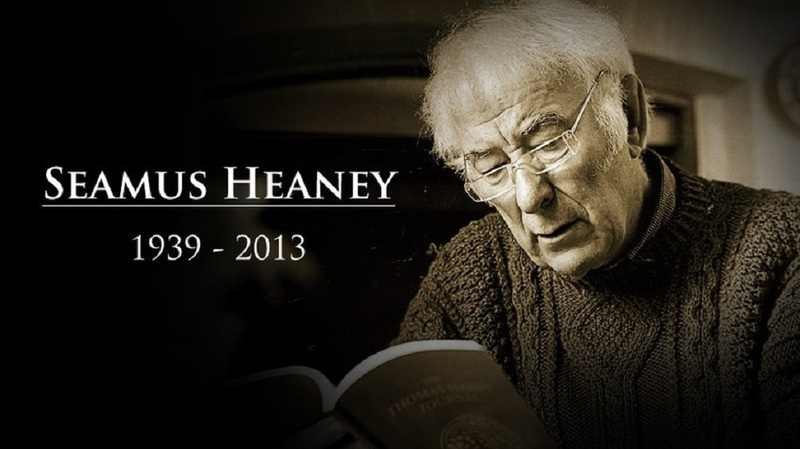 You’ll tour South Derry and discover the places that gave Heaney his inspiration and visit the poet’s grave. On through Ballymena to Broughshane, known as the “Garden Village of Ulster”. The village was recently named Village of the Year, Great Britain for 2018 and has previously won Ulster in Bloom, Britain in Bloom and Entente Florale (Europe in Bloom), as well as the All Ireland Tidy Town Award. Well worth a visit and a walk along the main street, where you’ll find some quaint little shops. You will have time for a meal or a pint at the historic Thatch Inn, a quaint pub and historic, thatched building, originally a planter’s house. Next up is a visit to nearby Mt. 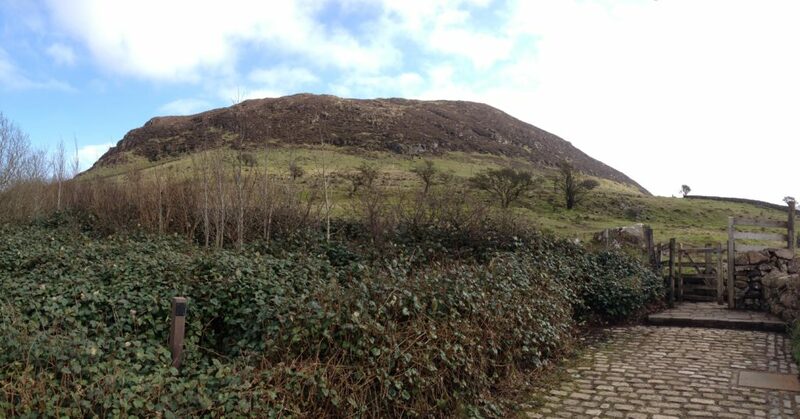 Slemish, where Saint Patrick was a shepherd as a boy, a place of real religious significance in Ireland. If the weather is fine and you’re game, you can climb up to the top for a spectacular 360 degree view of the surrounding countryside. Even if you don’t do the climb, the view from the car park out over the countryside below is beautiful. Continue on to Carnlough on the east coast. 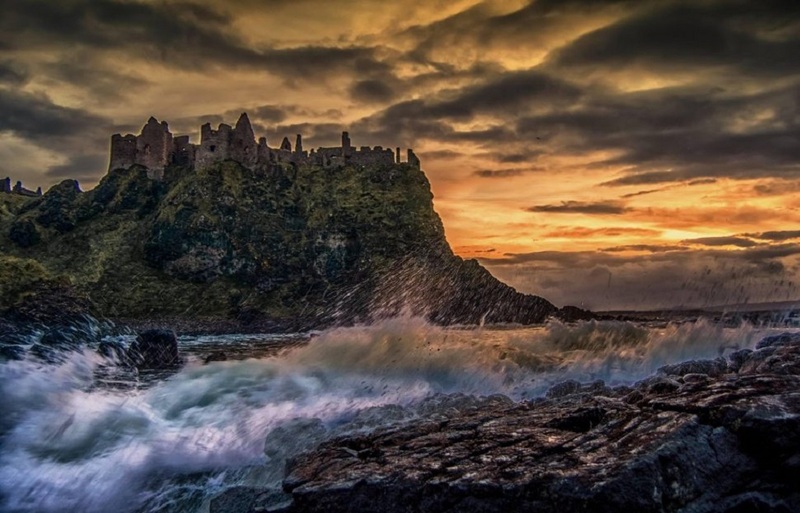 Just south of Carnlough you’ll arrive at Glenarm Castle, where you can explore the beautiful, walled garden and perhaps take tea with Viscount Dunluce, if he is in residence. 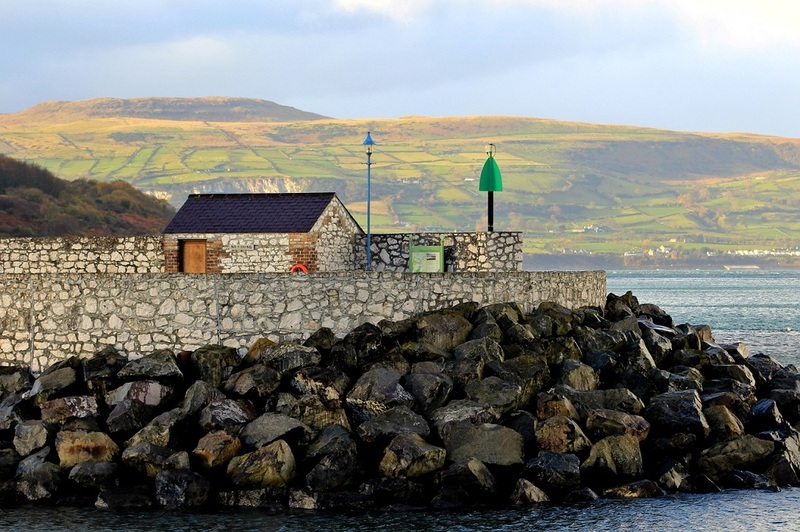 Travel further south along the coastal road through Ballygally, with its impressive castle (now an elegant hotel), turning west at Larne, a major seaport. You’ll pass through Carrickfergus, one of Ireland’s oldest towns and once home to author Jonathan Swift. Make a short stop here at the Carrickfergus Castle, then finally back to Belfast, where your tour ends at your accommodation. You will be met by your private guide and chauffeur-driven vehicle at your accommodation. 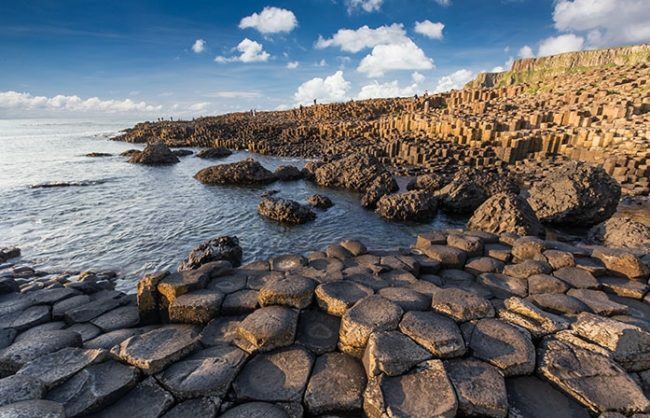 Your tour today will take you along the Causeway Coastal Road, voted as a #1 destination to visit in 2018 by Lonely Planet. Driving along this spectacular stretch of road will take you past Ballygalley and the impressive castle, which is now a hotel; Glenarm, home of Steenson’s Jewellers, maker of jewellery for Game of Thrones; Carnlough, home to the Londonderry Arms Hotel (formerly owned by Sir Winston Churchill) and Cushendall, a very pretty town sitting at the meeting point of three of the Glens of Antrim. Then it’s on to Cushendun, a beautiful, little, conservation village. After your visit here carry on to Bon a Margie Friary in Ballycastle, the ancestral burial grounds of the Macdonnells’. Time for lunch at Thyme and Co. 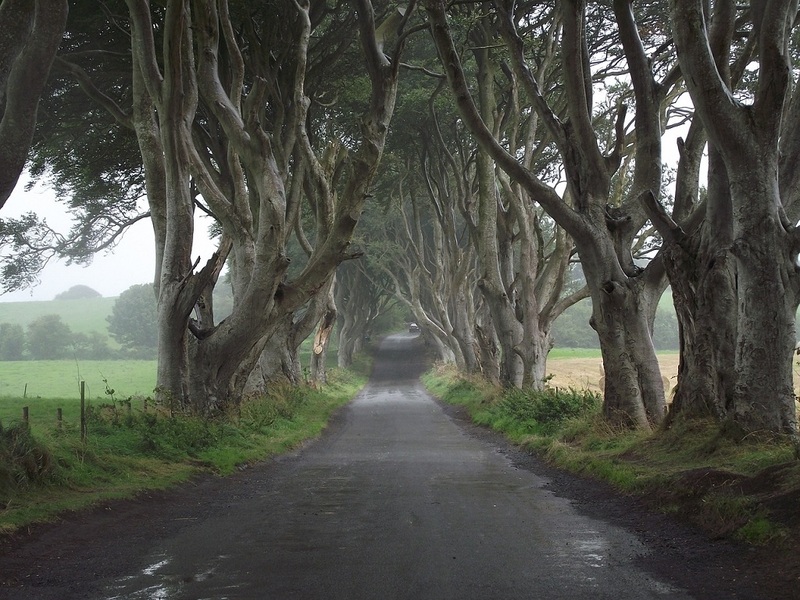 The next stop is the picturesque Dark Hedges, known as The King’s Road, a well known filming location for Game of Thrones. Return to Belfast through the interior of Country Antrim. You’ll be able to see Slemish in the distance, the mountain where St. Patrick was a shepherd as a young slave boy. Time permitting you may be able to make a side trip to see it up close and perhaps to stop in the award winning town of Broughshane for a pint before returning to the city. If you wish to incorporate this stop please let us know and we can rework your itinerary to ensure it is included. Private touring: Programs marked as (Private Tours) are totally customized and can be changed in whatever way is needed for you to visit the sites and areas of interest. Maybe you had ancestors that came from Northern Ireland and want to visit specific villages, towns, farms and grave sites. Or you’re a whiskey fan or a golf nut and want to incorporate these interests into your tour. Just let us know what you want to see and what your interests are and we can design a specialized program, customized just for you. Scheduled tours: Programs not marked as (Private Tours) are scheduled tours that offer you a seat in coach on a pre-set itinerary. They operate pretty much every day and offer the most economical way to see major sites. No matter if you do a Private Tour or a Scheduled Tour we can arrange accommodation for you in Belfast for the number of nights you want to stay, and book you on the day tours of your choice, to explore the countryside. This gives you the chance to visit the fascinating city of Belfast, unpack once and settle in to your room and return to it each night, providing a more relaxed stay.